Ok, it appears that our web host has fixed the http to https link automatic re-direct for the links posted in the forum. So if you see any http links that don't automatically re-direct to https please let me know. 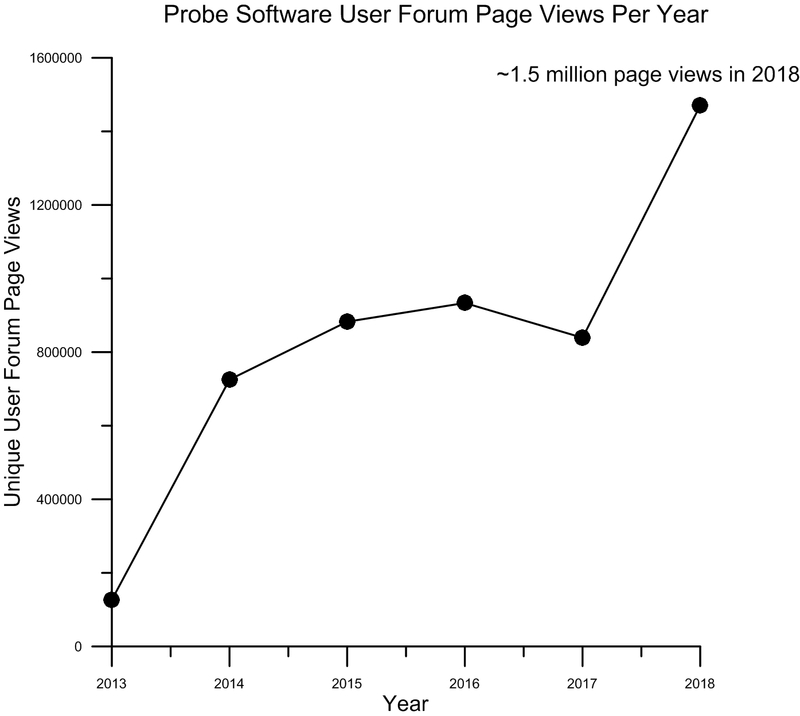 Will the Probe Software user forum hit 1 million page views (per year) by the end of this year? That's a record number of page views per year since we started the forum in 2013. To see these (and other) forum stats simply login to the forum and click on the [More Stats] link at the bottom of the main forum page. Thank-you to all members for your support and interest in EPMA and micro-analysis. 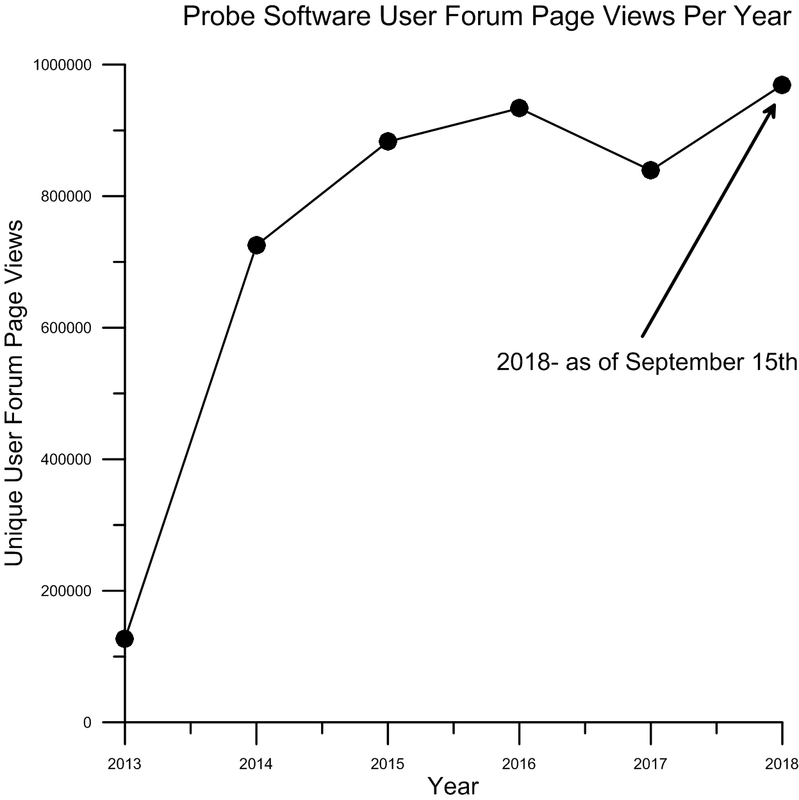 Wow, almost 1.5 million unique page views of the user forum in 2018! 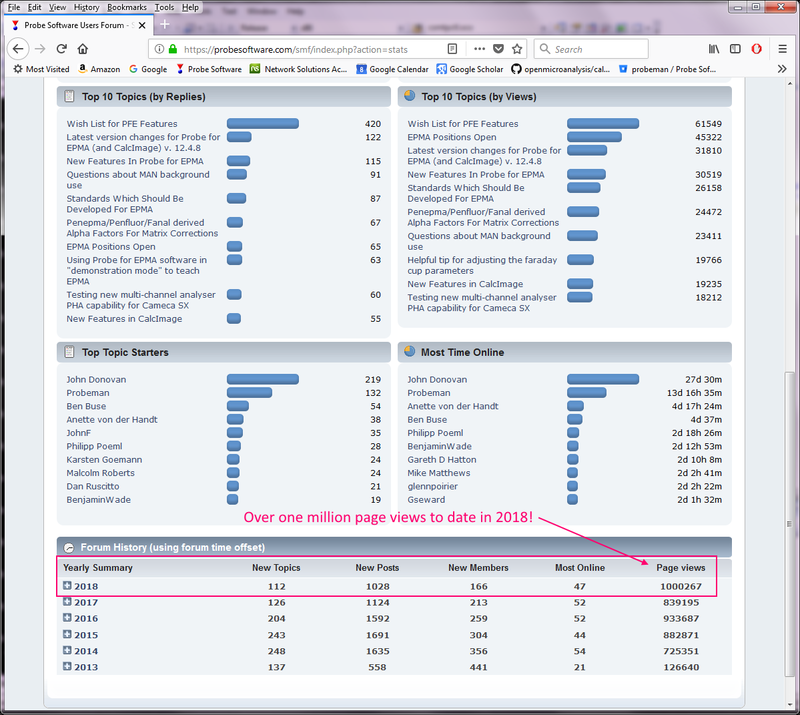 See the [More Stats] link at the bottom of the main user forum page for more forum statistics (you need to be logged in as a member to see the link).